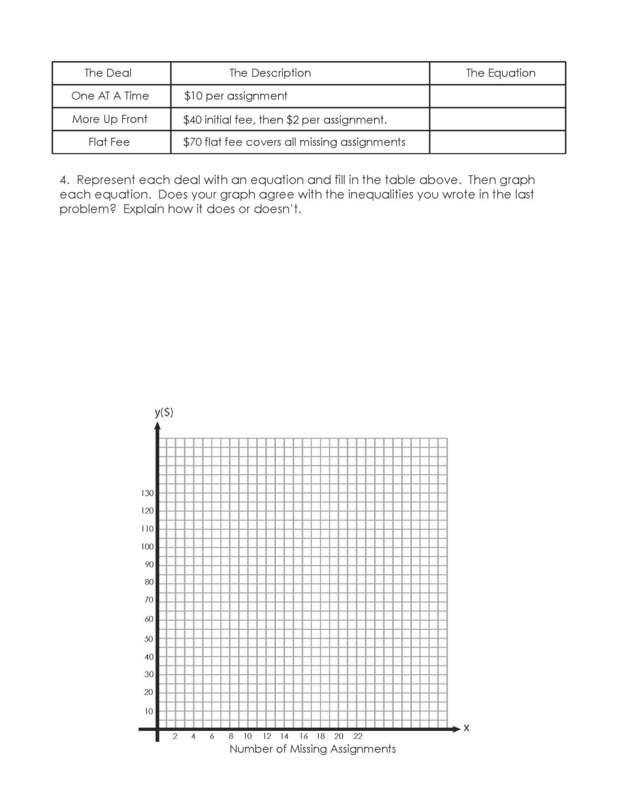 I’m trying to prepare for CCSS, so this year I have been looking at word problems with a specific goal of improving student literacy by connecting each problem to graphs and having students explain their solutions. 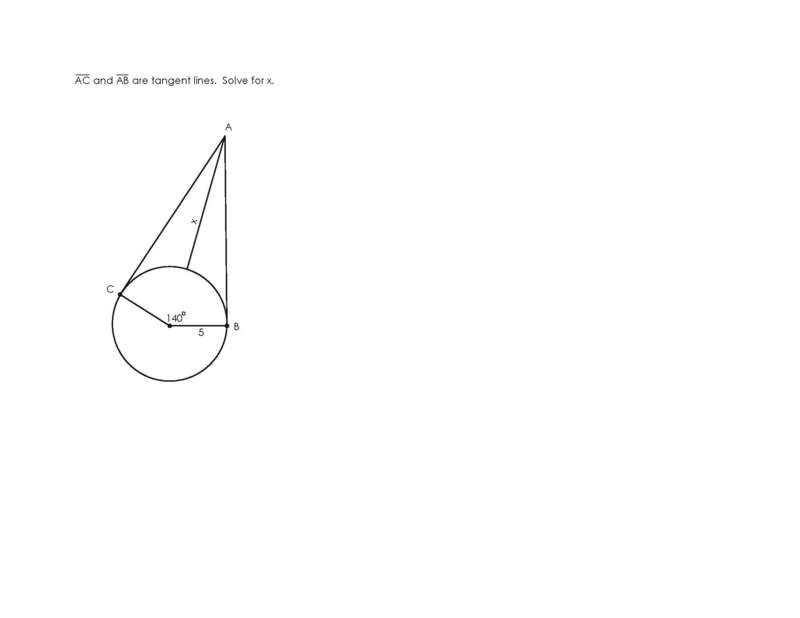 Then afterwards coming back to their solutions and analyzing them and improving them. It’s been successful thus far based on my last assessment so well the hell – figured I share. I started on day 1 with my Las Vegas Problem. 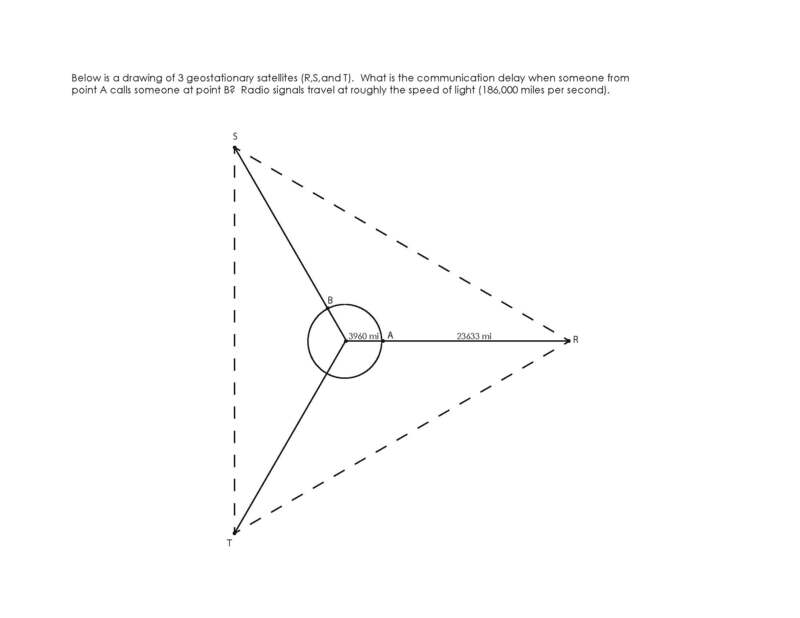 Then on day 2 I played this video of myself graphing the equations we wrote on day 1 for the two airports. 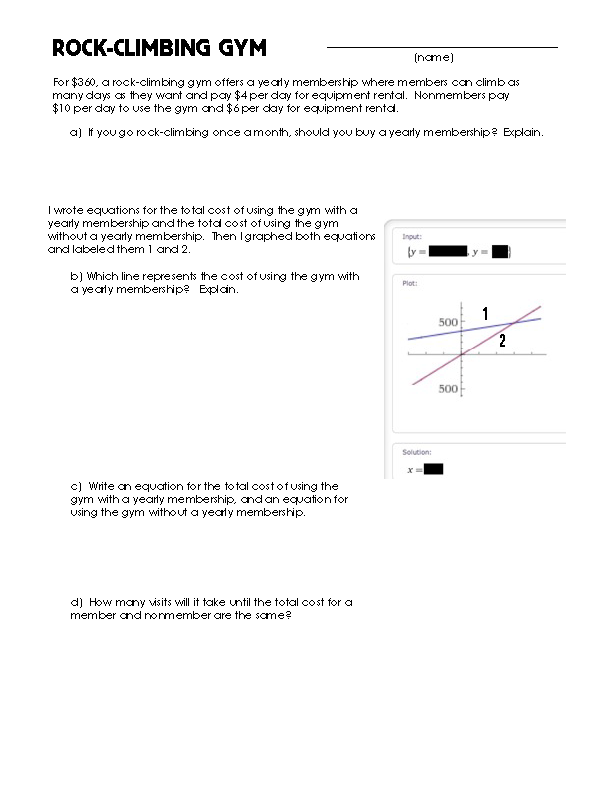 Then I passed out this worksheet and have the students try to figure out why Wolfram Alpha was calling 14 the “solution”. 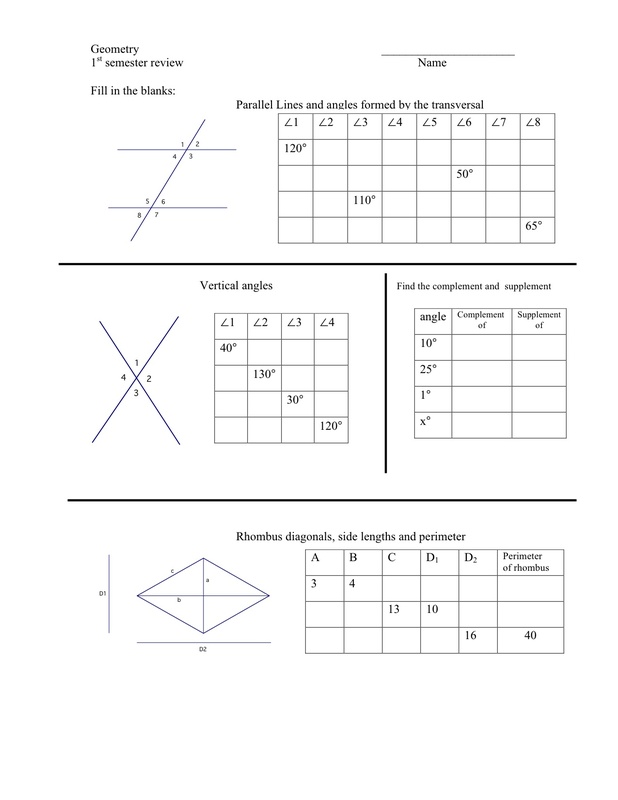 I like the worksheet because it has the students try to explain which graph is for which airport, and this is before we have learned to graph or talked about things like y-intercepts and slopes. It is just them connecting the story to the picture of the story. 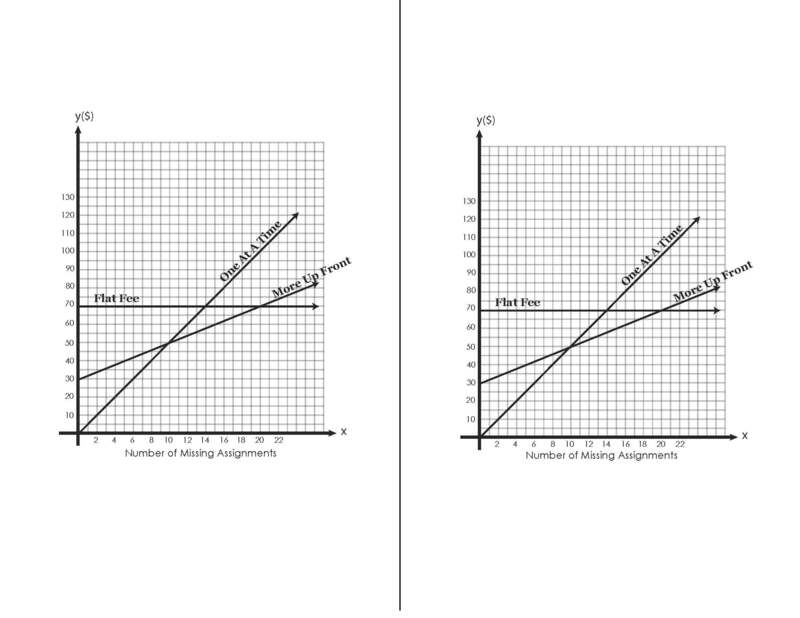 The last problem on the worksheet was meant to highlight that context drives the graph, and that this particular graph should not have any negatives because you can’t have negative days. But we had a good discussion there. 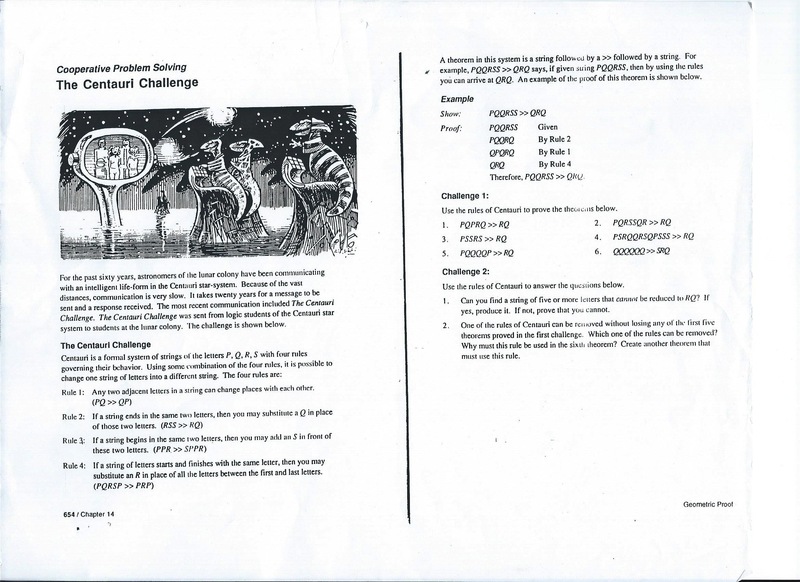 Since this is day 2 and these students aren’t used to having to “explain” their reasoning, I got a lot of papers that gave an answer without any explanation. 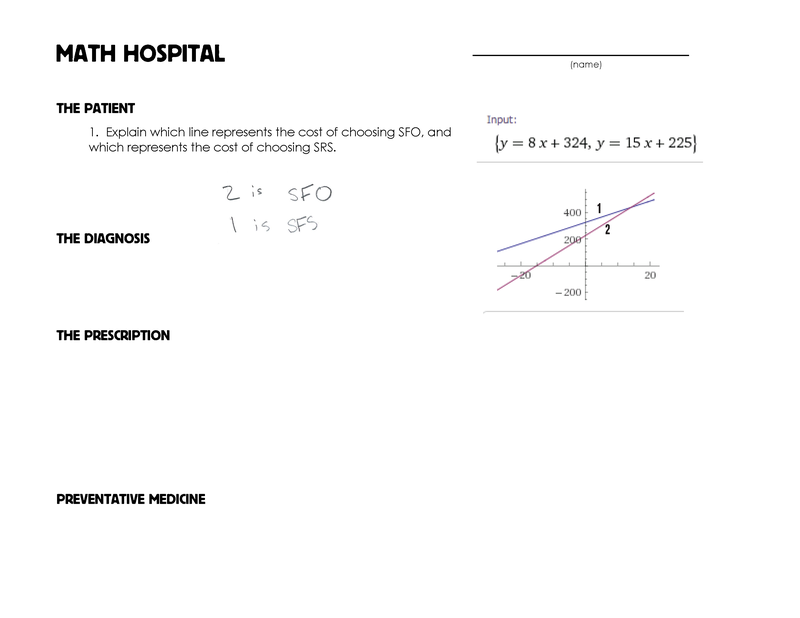 So I went back and did a Math Hospital and had the class analyze how to explain their solution. During the Math Hospital I introduced them to one of the English languages most powerful and poetic words: “because”. I showed that all they have to do is put that word after their solution and it will literally force you to state the reason for the answer. CCSS literacy for me isn’t about having the students explain their thought process, rather it is about having the students explain why they made the decision they did. 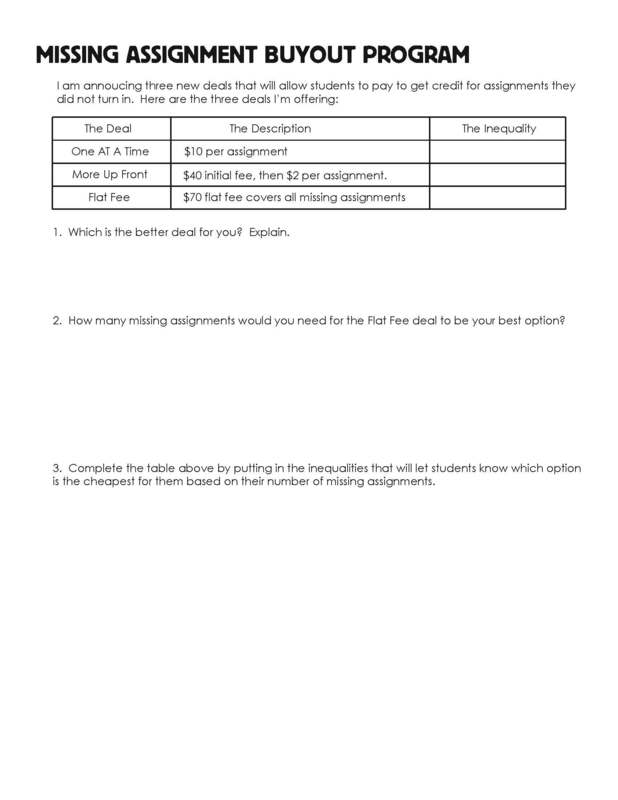 I did a couple worksheets that were styled like the Vegas one and then I put one of them on Ch1 test (The Internets was on the test). Every single student explained their answer on the exam. After the test the class and I did the “Math Gym” where we take their healthy answers and make them healthier! 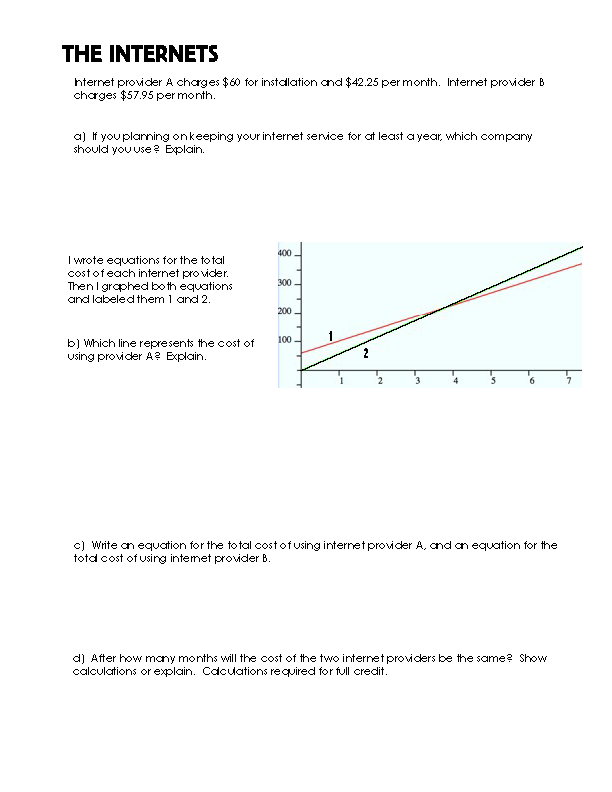 Basically teaching students that it’s great to choose internet company A because it is cheaper, but we can’t just say it’s cheaper, we need to also explain why it’s cheaper. 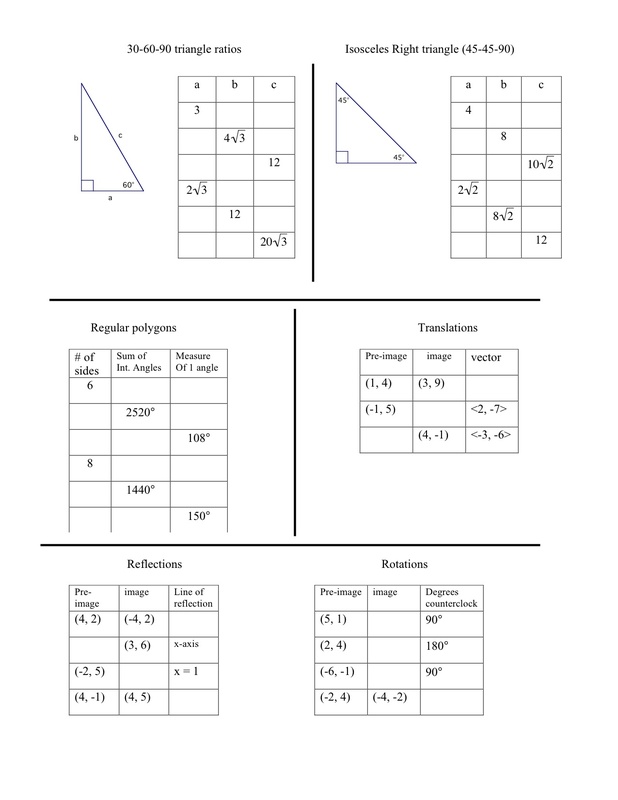 Attached are several other worksheets similar to Vegas. Each of the problems was taken directly from our textbook. I just provided the graphs and asked the questions in a similar manner to the Vegas trip. 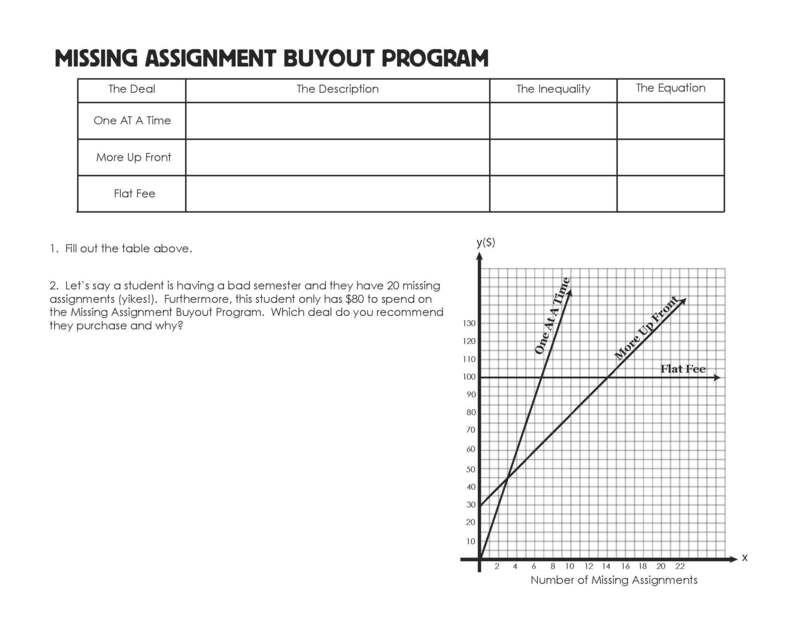 One of the things I really like about these worksheets is that they provide students with a graph of the situation and ask them to make some connection between the graphs and the situation they represent.